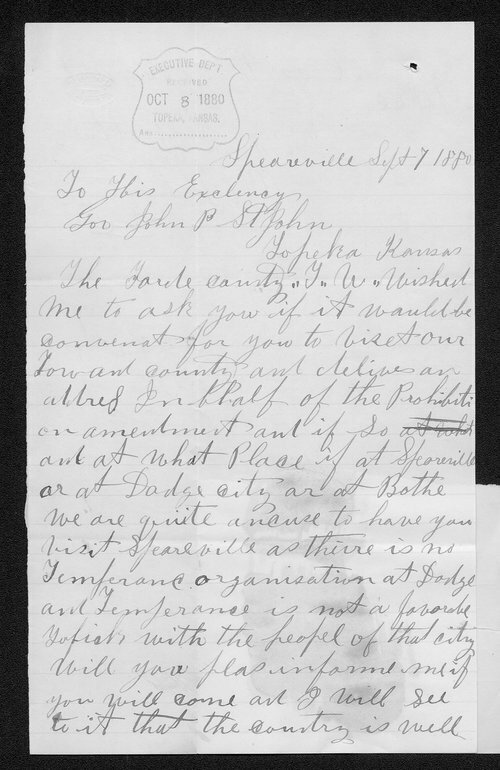 In this letter, Kansas Governor St. John is asked by W.V. Johnston, on behalf of the Ford County Temperance Union, to visit his community and deliver a Prohibition Amendment speech, either in Spearville or neighboring Dodge City. Johnston emphasizes Prohibition is not a popular idea in Dodge City. Mr. Johnston is secretary of the Temperance Union.